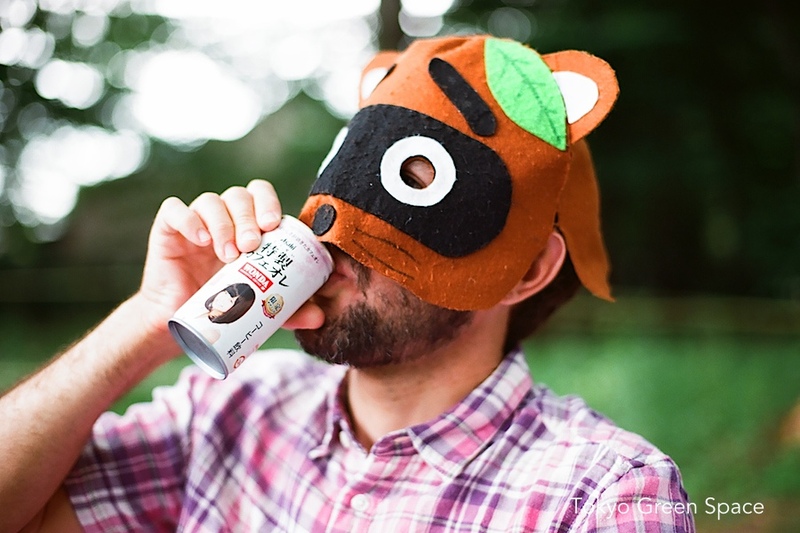 Tanuki drinks AKB48 canned coffee. Who is promoting whom? Tanuki’s journey requires lots of caffeine and energy drinks. Do you think AKB48 is a fan of tanuki? Would any of these young ladies make friends with a semi-wild shapeshifter? Tanuki raises more questions than answers. I noticed this interesting semi-wild, semi-cultivated space alongside a busy Yoyogi road and in between two train tracks, an elevated overpass, and a convenience store. It shows you what minimal effort and Tokyo’s abundant rain can do to create a space that is lush and full of summer flowers. I like the mix of wildness and anonymous stewardship. 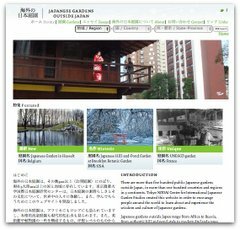 The results are such a contrast with poorly organized city efforts like this Shibuya Greening Project, documented by Chris on Tokyo DIY Gardening, which seem doomed to rapid failure. Summer in Shinjuku Gyoen is a wonderful escape from the crowded, hot city. The shadows seem extra dark, and the sound of the cicadas (semi, or 蝉) was loud. Click the short video below to hear the sounds of the cicadas on August 15, 2009. You can hear three of the four types of cicadas that mark early, mid and late summer in Tokyo. Shinjuku Gyoen is one of central Tokyo’s largest green spaces open to the public: 58 hectares (or 144 acress) with a 3.5 kilometer circumference. There are French, English and Japanese gardens, an expansive lawn, and 20,000 trees. Occupying what was once the personal residence of Edo daimyo Naito Kiyonari, the garden was created during the Meiji period in 1872 to promote modern agriculture, became the Imperial Botanic Garden, burned almost completely during the Tokyo fire bombing in World War II, and later opened as a public park. Today, in addition to serving as a popular recreation spot, particularly during hanami (cherry blossom viewing), Shinjuku Gyoen provides cuttings and seeds for buttonwoods (sycamores) and tulip trees (liriodendrons) that are later planted as roadside tree in Tokyo.